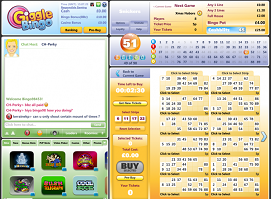 Giggle Bingo is a well-known online Bingo hall that’s been around since 2009. Downloading is safe and easy, even when you just play at the Giggle Bingo mobile website instead of the app. Interface is friendly, and the different type of games are easy to find. 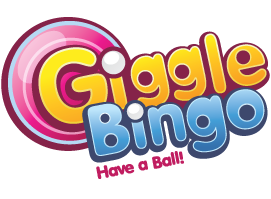 There are actually lots of reasons why Giggle is definitely in our top 3 bingo apps list. 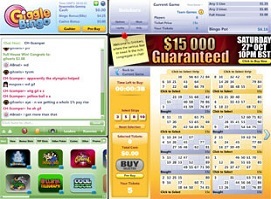 Simply put: Giggle Bingo plays like a dream on any mobile device. You can choose to download the official app in one of the stores (iTunes, Windows, Google Play, Amazon, Blackberry, depending on your device ofcourse) or just play directly at their mobile site. It’s spam free, ad free, and your privacy is garuanteed by Giggle. You can play any type of bingo game in Free mode, but the big plus is ofcourse the options in which you can play bingo with real money bets, allowing you to win real money prizes. Reason 2: new players receive up to €/$ 1600 in welcome bonus money. Giggle hands out a 100% bonus on your first 4 deposits, should you decide to play for real. There aren’t many bingo rooms that give away that much welcome bonus credits to new players. Ofcourse returning players, regular players and VIPS aren’t forgotten, and receive regular free bingo cards, or a bonus amount on a deposit they make. Making a deposit is easy and safe (you are under no obligation to play for real money or make a deposit by the way), with lots of banking options such as Neteller, uKash, Visa, Maestro and Skrill. And lots more ofcourse. 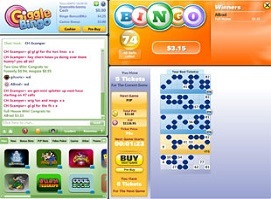 We play bingo in lots of rooms, in lots of different online bingo halls. Most of them have lovely players (especially when you get to know them) and Giggle Bingo is no exception to this. The atmosphere is friendly and kind, and playing bingo with the other (real) players is just generally good fun. And that’s what makes all the difference in our opinion. The usual options are available, like 90 balls and 75 balls bingo variations. A very nice Bingo Room is the Immortal Romance Bingo room: an excellent Vampire style bingo game, which is very popular at the moment. It’s great fun this one!